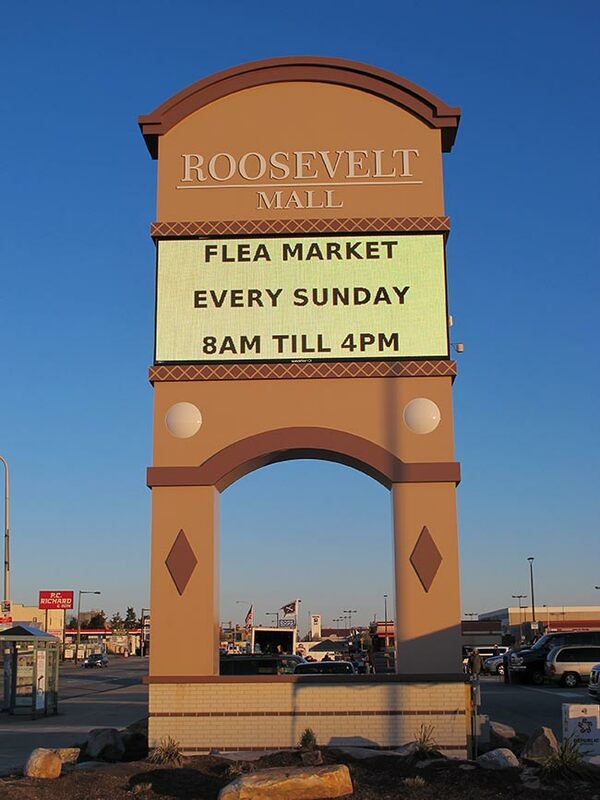 "Coming Soon To A Neighborhood Near You"
The Roosevelt Mall Flea Market Will Be Open Thursday, July 4th, 2019! 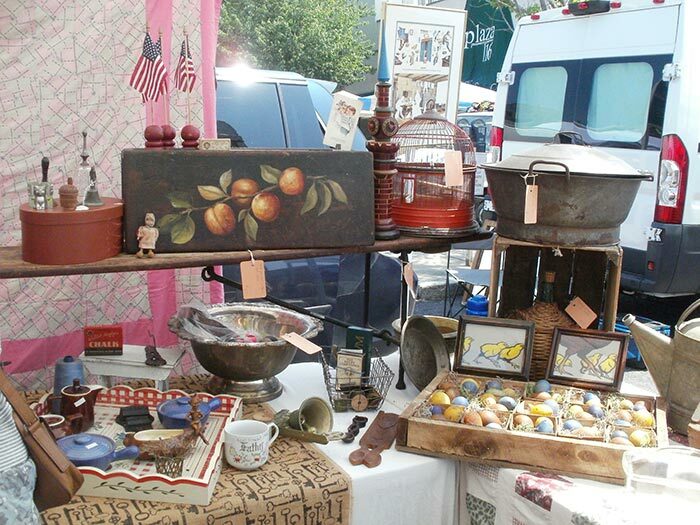 Vendor Reservations Are Now Open! 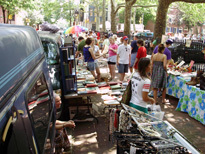 Phila Flea Markets Makes The List For 5 Of The Best Flea Markets Around Philadelphia In "House Beautiful"
Click Here Then Hit "Join"
Comment About Your Experience At "The Philly Flea"
Add Your E-Mail Address To Our Mailing List At PhilaFleaMarkets@aol.com To Receive Reminders Two Days Prior To Each Market! 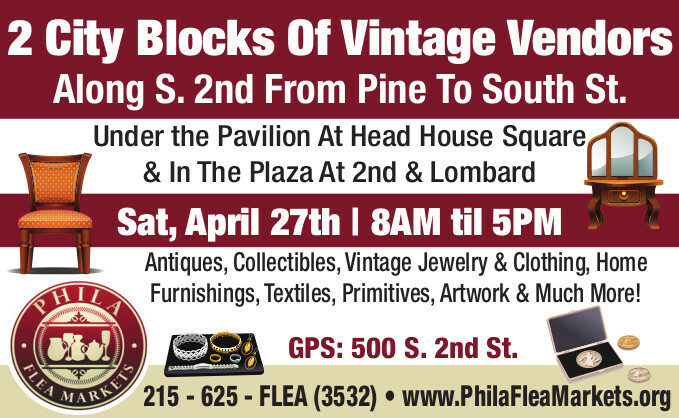 Phila Flea Markets (AKA The Philly Flea) Organize The Largest Outdoor Vintage Flea Markets That Travel Thru Center City Philadelphia As Well As The Main Line April thru November. 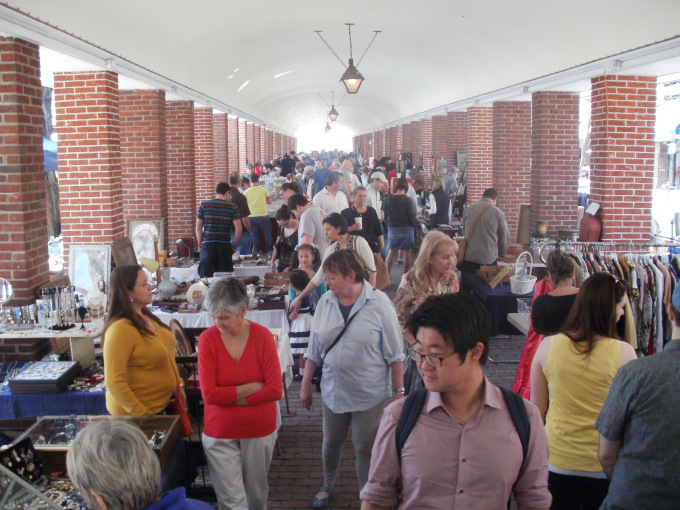 Our Indoor Markets Selected Saturdays November thru March At Penns Landing Caterers In South Philly Featuring A Wide Variety Of Merchandise But With An Accent On Antiques & Vintage! 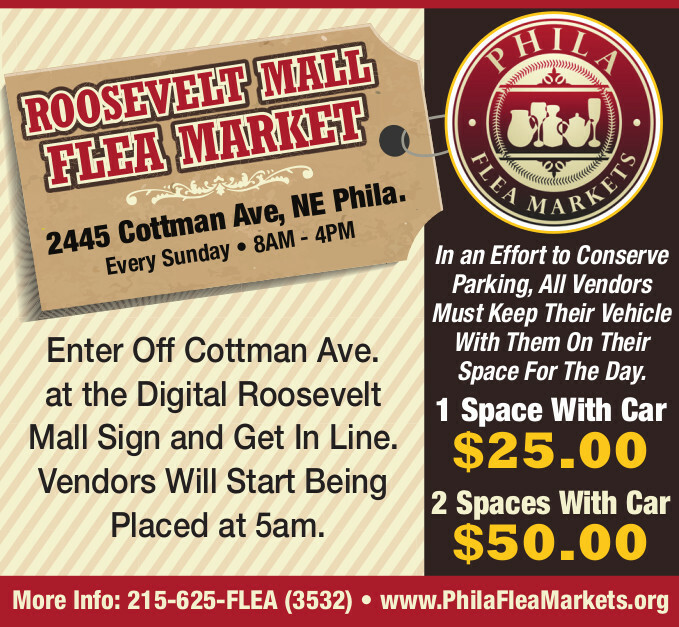 Also, Every Sunday April thru November Outdoors At The Roosevelt Mall, 2445 Cottman Ave, Phila, PA 19149. All Markets Are Handicap Accessible! 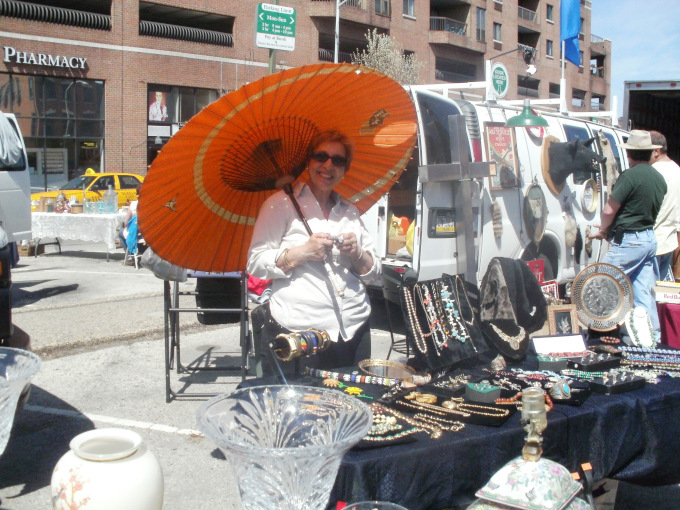 We Are Always On The Lookout For New Venues To Host Our Markets. If You Have A Suggestion, Please Call Or E-Mail. We Would Be Happy To Take Your Suggestion Into Consideration For Our Next Season.